Hey all, it is Danny yet again with my weekly offering of formations! 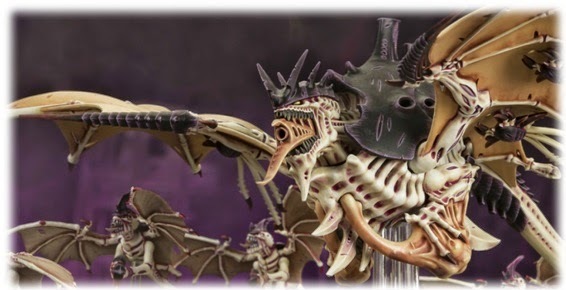 Today, we look at my favorite faction, the Tyranids, and a fun, fluffy, but surprising competitive formation. Onward! Objective Secured: Gargoyle broods gain Obsec! Yay! Skyswarm: Each time a Gargoyle brood is destroyed, on a 4+, a new, identical squad comes in from reserves. These squads count as part of the Formation, so they also get to recycle when dead. Yay recycling Obsec units! Ok, so this a large formation which at its cheapest is still running about 600 points and will likely be closer to 900. 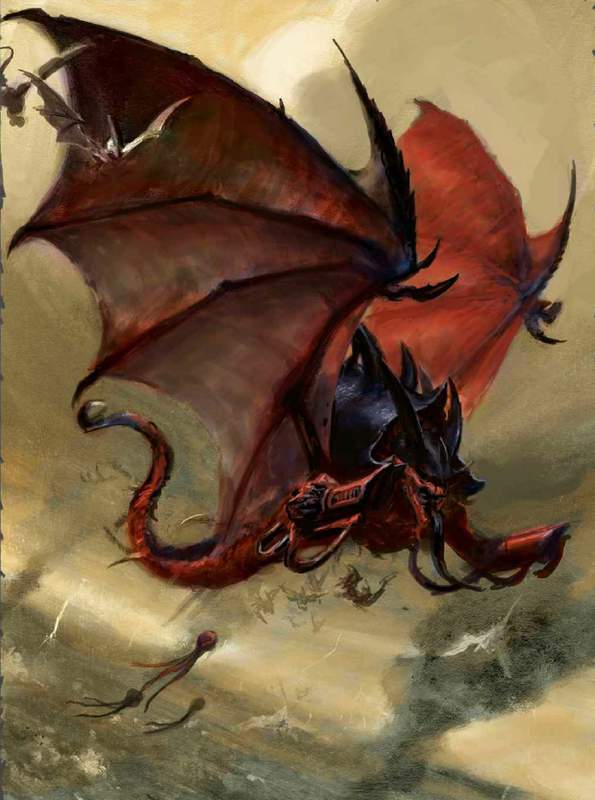 What it provides is 4 flying monstrous creatures (FMCs), 2 psychic dice, and 3 units that can be as large as 30 strong of recycling Obsec. There is a decent amount of pop here and a great way to play the mission. Ok, expensive, but seems good, I guess? Damn right this is good. First off, you get to take 4 big, beautiful models. The plastic Hive Tyrant is impressive, and the 3 other FMCs can look really cool when painted well. If you like the look of big bugs with little bugs, this is the formation for you! The little bugs make the big bugs look bigger. Looks aside, this formation brings a bit of everything to the table. It is fast as the Gargoyles are jump infantry, and then the FMCs are FMCs which means anywhere from 12 to 24 inches in a single turn. This gives you solid mobility in the movement phase. This formation gives you a Flyrant, so that’s at least 2 psychic dice and the chance for either Psychic Scream or maybe Warp Blast. More Synapse isn’t a bad thing anyway. This formation can bring a lot of shooting with the typical Flyrant build of 12 Twin-Linked, S6 shots, 2 S6 Large Blasts from the Harpies (plus their little spore bombs), and the S6 flamer from the Crone and/or S5 shots from the cluster salvo. Of course, the Crone also has 4 one-shot haywire missiles, and a Flyrant can always take electroshock grubs (it should). This is respectable shooting. For combat, this formation is not going to kill too many power units, but 30 likely Fearless Gargoyles will hold a lot of enemies in place for a while, and then they come back! That is also the real secret sauce of this formation: Objective Secured recurring units are good. The Gargoyles can run in, take an objective, and force the opponent to fire them down, and they may just come back. Granted, 4+ is a tricky minx, so sometimes, you just roll like crap, but hey, these new units also come back on a 4+, so by the math, you’ll get at least 1 extra unit a game, and you can also get 2 or 3 back with only a small skew of luck. 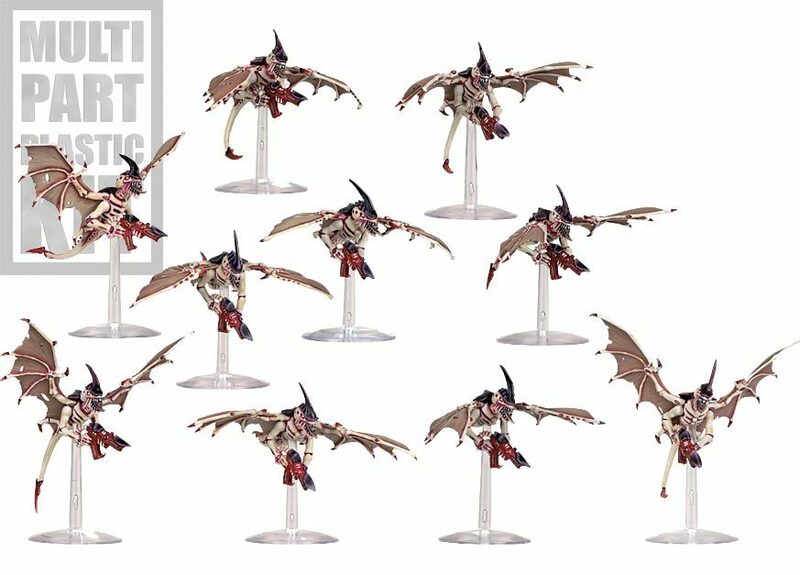 Very few armies have access to Objective Secured recursion, and while Gargoyles are Tyranids’ most expensive swarm infantry at 6 points a model base, in this formation, they are worth it. With a 30 dude blob, you can completely bubble wrap an objective and force your opponent to spend turns killing them off it only to have the squad return to do it all again. This formation is a bit of skew too as 4 FMCs is not easy for some armies to deal with, and while Crones and Harpies are not exactly powerhouses, they can still befuddle a lot of armies, and they can land in the late game and help contest/control objectives. This formation really plays the scenario well, which means it complements a lot of Tyranid/Genestealer Cult builds. GSC really needs obsec, and this formation gives it to them plus a little bit of everything, and Flyrant spam lacks objective controllers, and this formation adds another Flyrant plus Obsec. 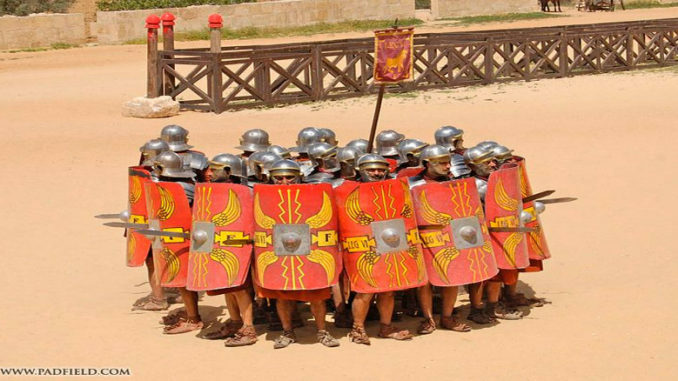 Overall, you can use this formation to really create a thematic, balanced list, but it can also be used with extreme prejudice in the competitive scene. Plus, not many people use it competitively (or use Bugs), so you can catch a lot of top tier lists off guard as they are not built to deal with the unique problems this list can present. Wow, ok, so it is good, so what do I do if I run into it? Well, the formation plays all phases of the game, but it only plays 2 very well. It can shoot and move, but the close combat is weak (except for Fearless blob), so a blender unit like Wulfen, Thunder Wolves, Wolf-Tide, etc are going to mulch it quickly with no real damage back. Hell, the basic Ork boy can do some real damage here. A dedicated melee army is likely going to slaughter the Gargoyles, and the FMCs should not be landing as they’ll die terribly too. This formation also brings only one Synapse creature, so if the Flyrant dies and the formation is not supported by other Synapse, suddenly those Leadership 6 Gargoyles aren’t doing so much. Especially if this formation is used in conjunction with GSC, there will be a definite lack of Synapse here. While this list can shoot, it struggles with either 2+ saves or AV13 and above. Yes, the Crone and the Flyrant can bring some haywire, but several Knights will likely survive that and then slaughter the Gargoyles. While S6 is good, this formation just doesn’t pump out enough to reliably punch through 2+ saves as the only AP2 here are Vector Strikes (which isn’t always a terrible idea). 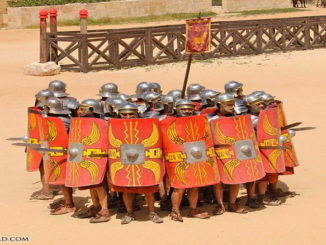 This formation can also get real spendy, real quick. If you go for max gargoyles, this formation can be over a 1100 points, which leaves only 400-750 points to really flesh out the synapse or bring some more dedicated melee elements, so if this formation is the primary punch, it lacks synapse, but if it goes smaller, MSU style gargoyles, then the gargoyles are much easier to kill and force that crucial 4+ roll. 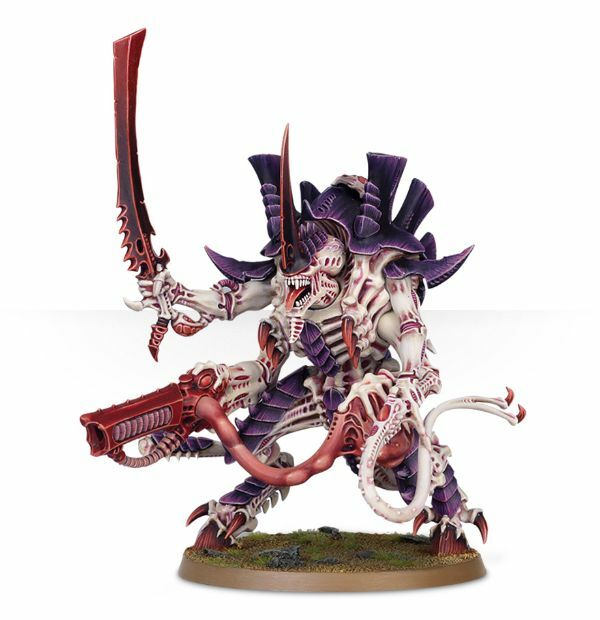 So there ya go, a formation that can bring some rain, some pain, and can actually slot in well to a competitive list, but it also provides a very strong base for a fluffy Tyranid air force list that isn’t just five flyrants. 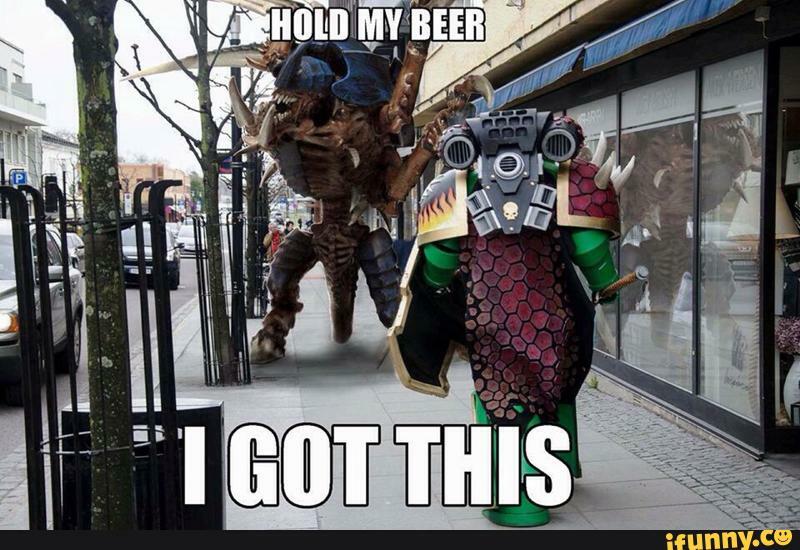 Of course, we can give you help building some awesome Flyrant lists or maybe some painting tutorials if you took a look at that Patreon.